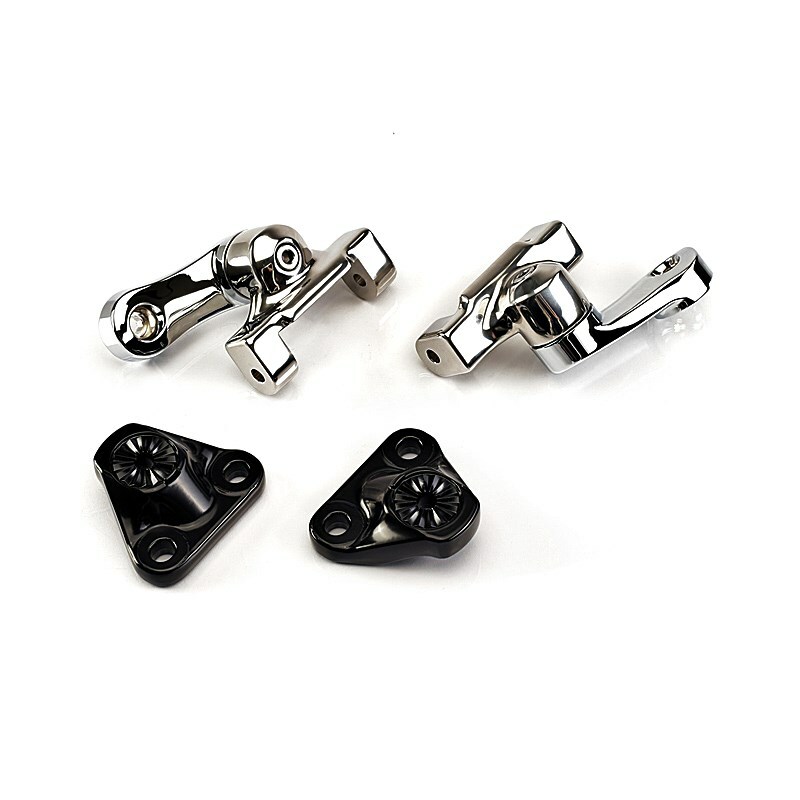 Fully Adjustable Passenger Footboard Mounting Kit, featuring cast mounting brackets, hand polished triple chrome cast adjuster arms to allow the option of a more relaxed tailored ergonomic position. Allows dual 180 degree adjustment to suit individual preference. Finished in high quality Chrome. Must be installed in conjunction with Triumph Passenger Footboards, A9758159 & A9758160.